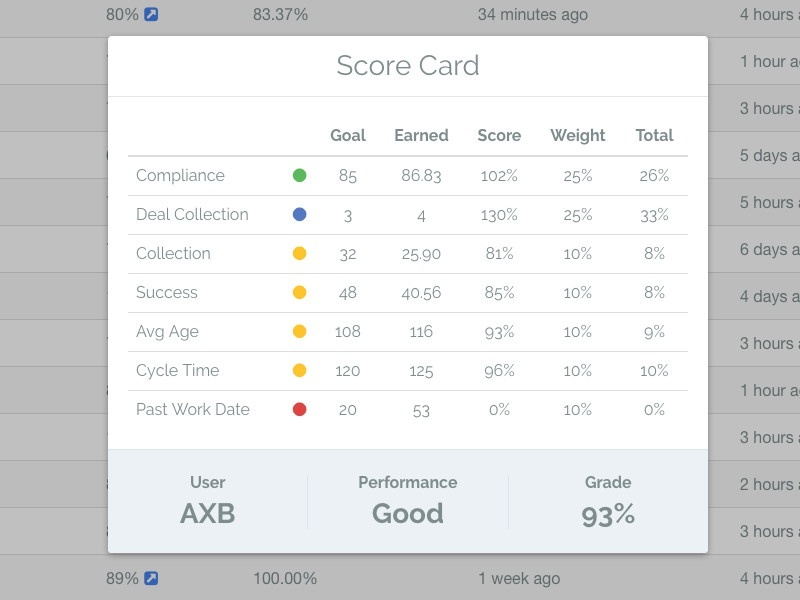 A modal score card for an internal management application. Wanted to give managers a quick way to asses operator performance while also being able to see what is contributing to a deficient category. The colors next to each category gives the manager quick feedback without analyzing the entire row while still giving enough information to coach operators.